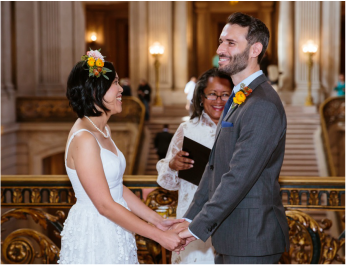 Couples come from all over the world to be married in San Francisco and of all the wonderful city-wide locations in which to exchange your vows, San Francisco City Hall, with all it's splendor, is one of the most popular! I've personally officiated for clients from England, Ireland, Australia and China and of course, many local residents and vacationing couples here from other parts of California and our nation. As a result of its popularity, dropping in at the Clerk's office without an appointment expecting to obtain your marriage license and to be married all in the same day is not only UNrealistic, it just simply won't happen for you. Because of demand, the City handles ALL marriage licensing affairs and ceremonies solely by appointment. The best place to get all the details including licensing fees, etc. is from the San Francisco City/County Clerk's office themselves, click here to be directed to their site. 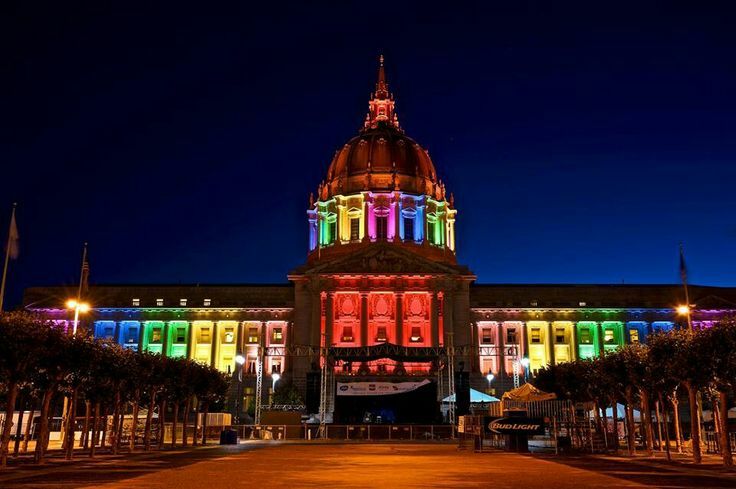 do I need to be a US Citizen to be married at City Hall? how much is the licensing fee, and what forms of payment are accepted? You'll get the answers to these and many more questions. Looking to hire an experienced officiant who knows her way around City Hall? Please contact me. Happy to perform either a civil ceremony or non-denominational one. True love knows no discrimination!